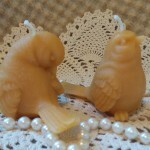 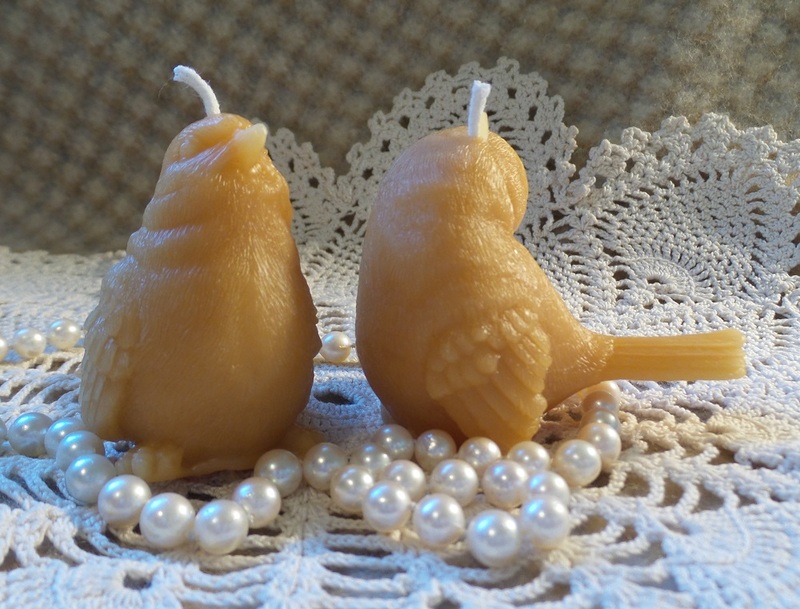 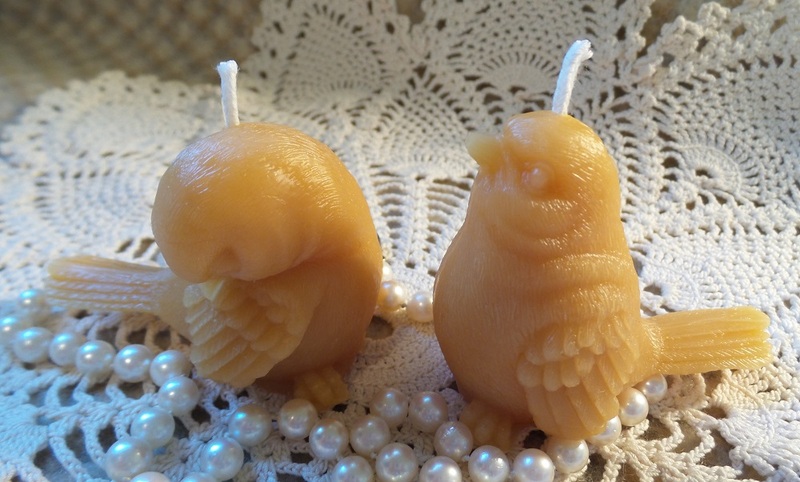 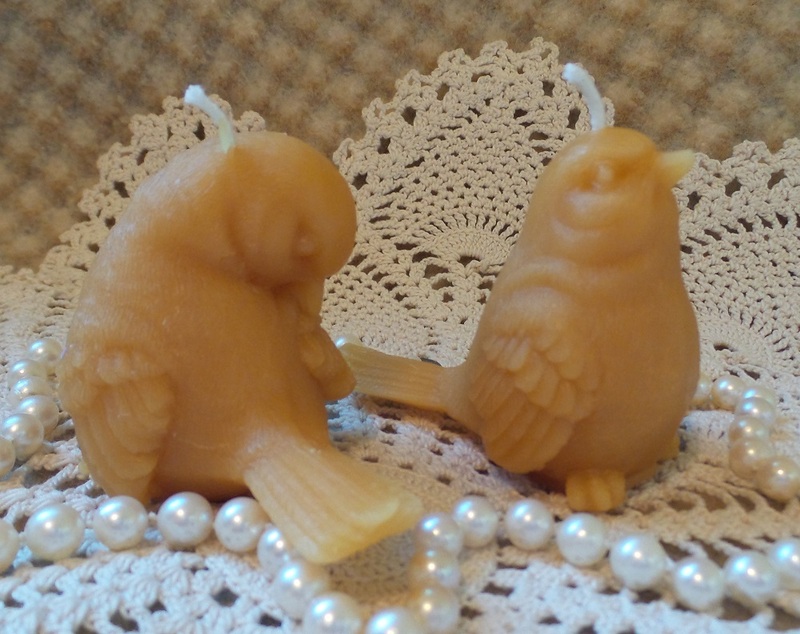 Cute Songbirds in a pair – one lovebird is looking about, and the other preening – softly molded in 100% Oregon Beeswax measures 4 1/2″ tall by 2 1/4″ wide and weigh just under 1.5 oz. 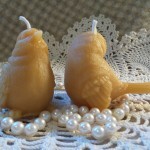 each Adorable shapes are definitely irregular, so be sure to place them on a suitable dish or holder when burning. 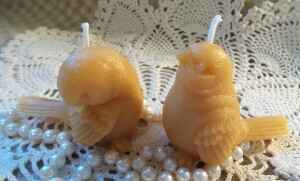 Burn time: about 4-5 hours each. 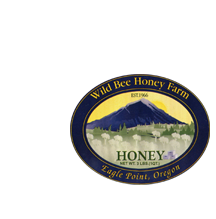 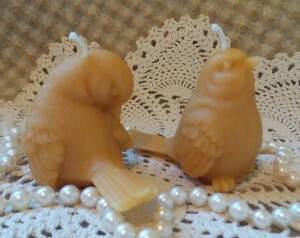 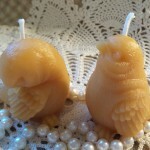 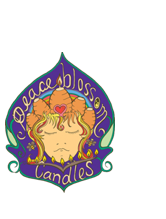 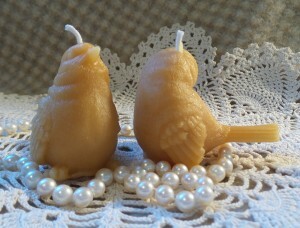 Like all my candles, these are made of fragrant Oregon Beeswax and fitted with an all-cotton wick for non-toxic light.